This month, as promised (and at great personal grief…! 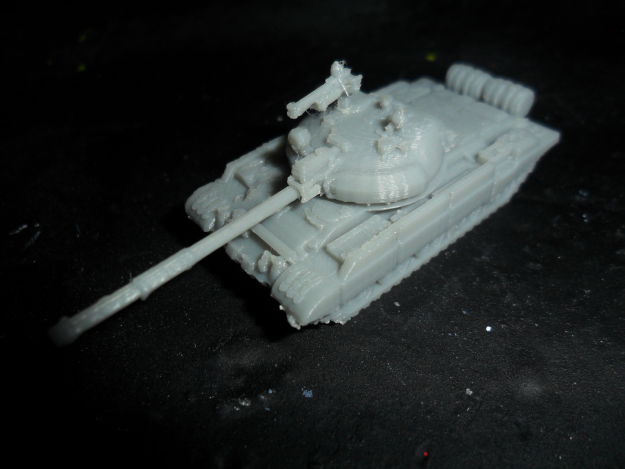 ), we have the T-62M and the T-64B and T-64BV (at 144th). You would not BELIEVE the trouble today; from having to assemble it three or four times since TurboCAD had some arcane sequence that it would only assemble things in a specific order that it changed every time to having to print the turret [s]two[/s] [s]three[/s] FOUR TIMES as even NETFABB (usually always reliable netfabb) threw a wobbly (it kept opening the old version of the file until I shut it down and reopened). 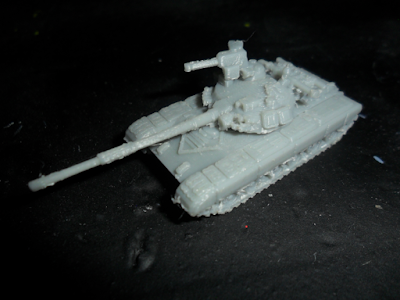 I had loads of things I wanted to do today, but the T-64BV has taken about EIGHT DAMN HOURS to get from yesterday's finished CAD model to printable model to release. At this point, I REALLY didn't think it was worth delaying the release even further (like, to Tuesday) for the sake of having to wait another couple of hours for an updated T-64B hull. Have I mentioned I hate the T-64..? Next month is likely to be Centurions of some stripe; I've still got some Mk 5 versions in the backlog, and I am going some Mk 3 for Hammerhead for Manoeuvre Group (they are doing a 1948 alternate history game). I have some more casting master commissions to do, so that will be the majority of the new thing I'm likely to be doing for the next month or two, and then we'll see how we go. I still want to do the T-80 and then we'll have all the major Soviet tanks done*, so that will be one of the goals for next years, along with the T-72B. 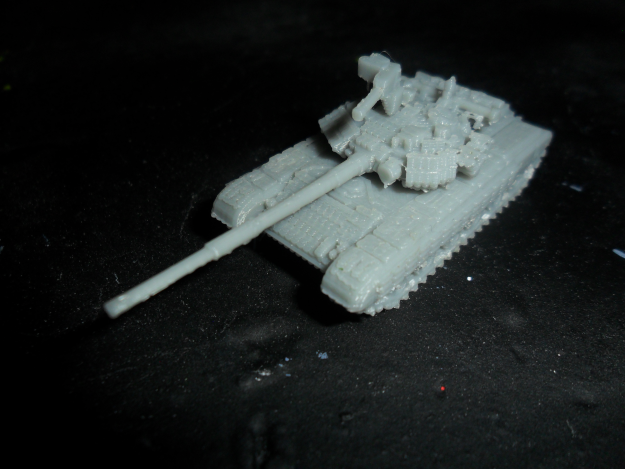 Having looked at the T-84, I am going to say that are only slightly more T-84s in the world than I have fingers and toes, I'm only going to be doing that on commission.